Hummingbirds won’t be able to resist Allura’s beautiful design and vibrant colors, while you won’t be able to resist how easy it is to use and clean. 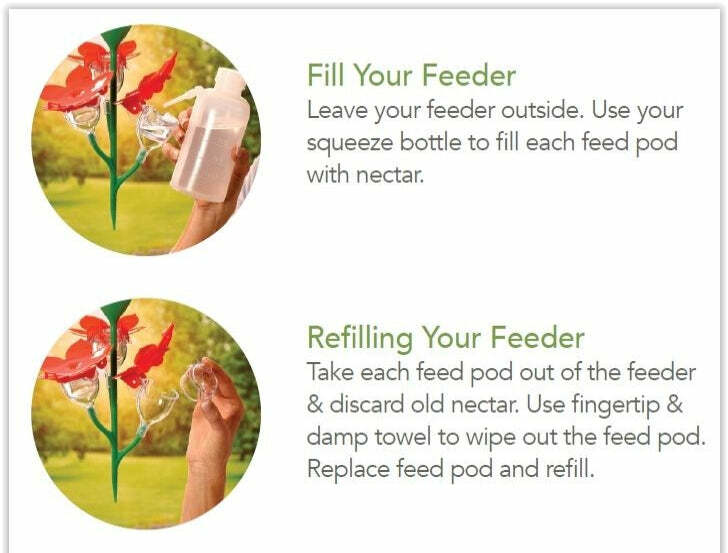 And best of all, thanks to the always-fresh reusable or single-use feed pods, you don’t have to worry about spoiled food, the single biggest reason hummingbirds stop visiting. April 06, 2017 Now Available on Amazon!